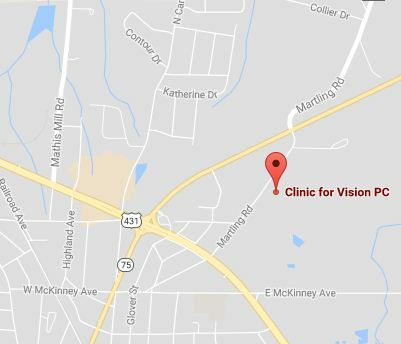 Routine eye exams at our optometry practice in Albertville, AL are very important for early detection and treatment. This will ensure long term eye and vision health. Your eye doctor will examine your retina and macula for irregularities that may signal the development of macular degeneration. Ocular Coherence Tomography, or OCT, is an excellent tool that many optometrists use to accomplish the most accurate scans of your inner eye possible. It takes high resolution pictures of your retina utilizing light rays, to produce images so detailed that your Albertville eye doctor is able to view cross-sections of your eye thinner than a human hair. Dry Macular Degeneration is the much more common form. Symptoms of dry macular degeneration include blurry distance and/or reading vision, colors seeming much less vivid and difficulty seeing in dim lighting. Macular degeneration that affects only one eye is often more difficult to detect without an eye exam, since the healthy eye will make up for the shortcoming of the eye with glaucoma. Wet Macular Degeneration is a much rarer form, and considered much more dangerous because of its known tendency to worsen drastically in a remarkably short amount of time. Symptoms of this form of macular degeneration are similar to the dry form. You may also notice that straight lines seem to be bent or crooked. There are no proven, federally approved ways to treat macular degeneration once you have already developed it, and sight which is lost through damage caused by macular degeneration is not recoverable. However, there is increasing evidence of a possible link between taking certain health supplements such as Vitamins C and E and a reduced risk of macular degeneration. For more information, contact Dr. Nichols today!